December is upon us, and here we are for week 257 (12/3/2015) of Travel Photo Thursday, welcome! Winter arrived in Korea this week, and it is a shocker. Overnight I went from wearing my summer coat to my full winter gear. I’m looking forward to warmer climes! This week I’m sharing a few of my favorite markets from over the years. Looking at these shots is making very excited to explore the markets in Barcelona and Portugal; counting the days! Only one link per blog. Finally, please leave a comment, and I do hope you’ll take the time to visit some of the other links. Back in 2006 I got to roam through Seattle’s Pike’s Peak Market for a few hours, and I loved it! The fish mongers were hilarious. I’m sure I have photos buried somewhere of their fish throwing shenanigans. I also discovered ‘Mr. Pepperman’, and fell in love. These beauties, made from fresh bell peppers, were made for hanging in your kitchen, and in about 2 years they are totally dried. I didn’t bring one back to Korea because I thought customs might seize it. Now, I would! Aren’t they gorgeous! 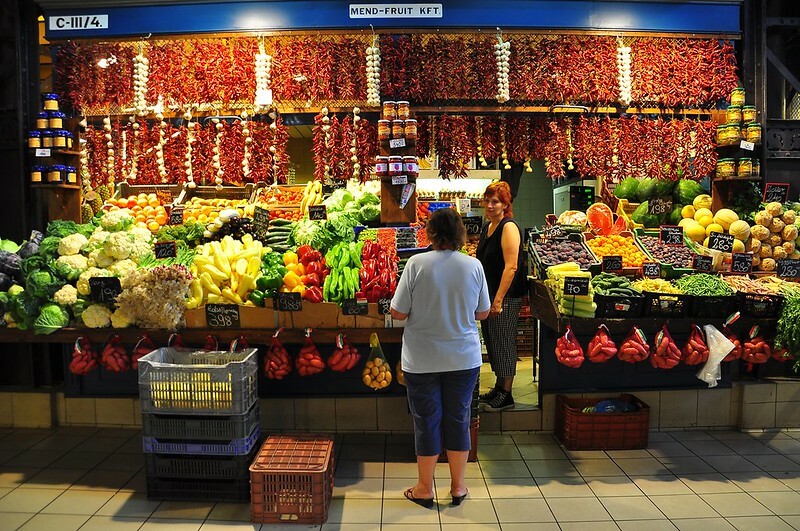 No visit to Madrid would be complete without a visit to Mercado de San Miguel, located just off of Plaza Mayor. I had a fantastic time nibbling and sipping my way through all of the deliciousness, and you can do some drooling here. Then, there was the Great Market in Budapest, Hungary, where I had the pleasure of purchasing local paprika from a lovely little old lady. My suitcase also arrive back in Korea stuffed with Hungarian foie gras! On the second level I enjoyed delicious local fare for lunch, and there are lots of souvenir shops to browse. I could not resist the beautiful hand painted eggs. Finally, there are the markets of Thailand. 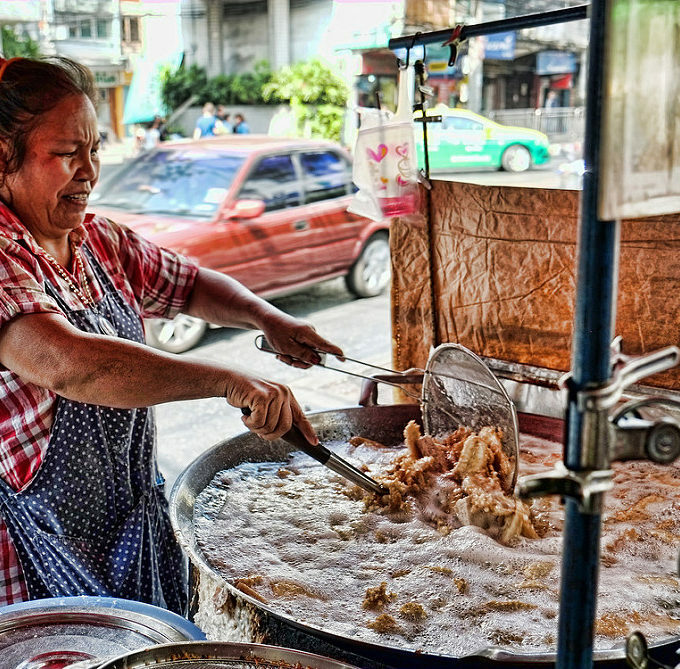 Chiang Mai has the Saturday and Sunday Walking Markets. There are also markets in every neighborhood, where the locals do their daily shopping. 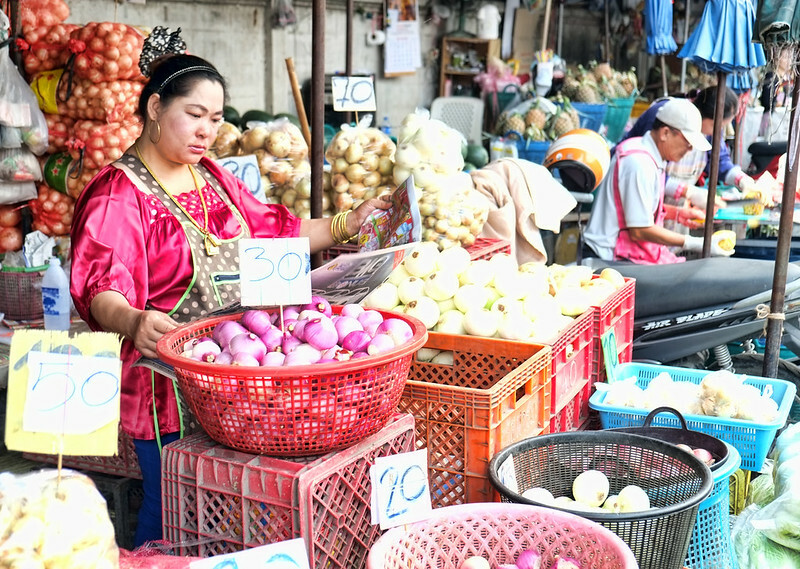 The Muang Mai market, next to the American Embassy, is always bustling in the mornings. Lots of good photo ops here! This market really bustles first thing in the morning! My local market when I’m in Chiang Mai is Somphet Market, located very close to the moat. Great little market for fresh fruit, and also smoothies and my favorite moo ping. I gave full tour here. I hope you enjoyed this whirlwind tour of a few of the many markets I have enjoyed in my travels. Do you have a favorite market? Please welcome our co-hosts this week: Jan from Budget Travel Talk Ruth from Tanama Tales Rachel from Rachel’s Ruminations ____ You can browse the Travel Photo Thursday archives here. If you like this post, please share using the share buttons at the top or bottom. Much appreciated! We love visiting markets too! 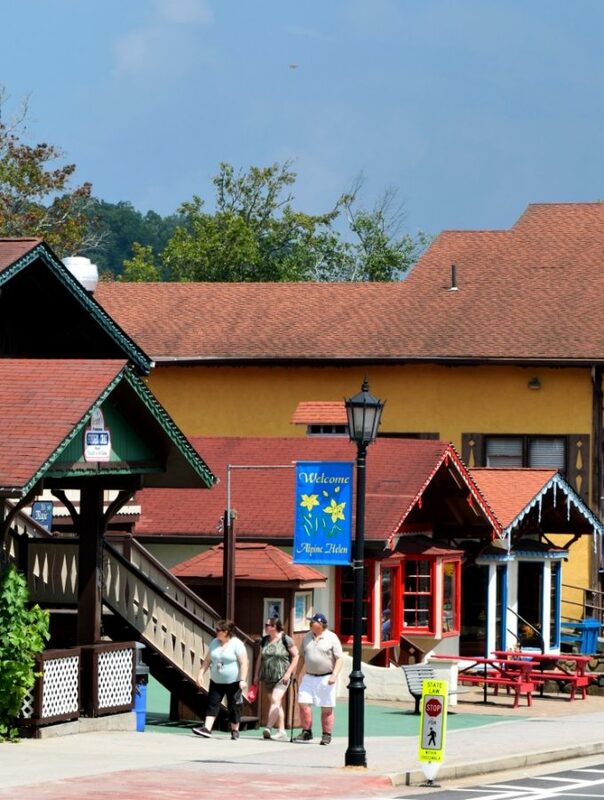 It’s one of the great ways to explore local culture. 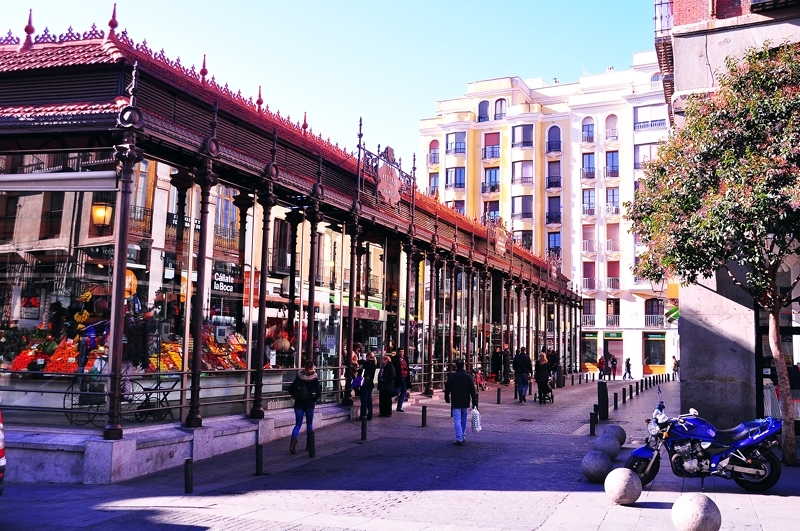 Mercado de San Miguel is one of our favorites. I’d love to visit the SE Asian ones. Are we going to be in Lisbon at the same time? Hi Mary. The Mercado de San Miguel is fantastic! I arrive in Lisbon on December 31st and I will be there until January 8th. Then I head to the Algarve. Hi Lydia. I’m with you on the supermarkets, too. Great fun to wander through, and I often end up buying something interesting. Hi Nancie, I enjoyed reading your favourite markets post and re-visited the links too. Even though I’d just eaten breakfast I was wanting to partake of the food at Mercato de San Miguel and I always love to walk around an asian market so I loved your local Chang Mai market post too. I am so jealous of your upcoming trip and can’t wait to see your posts. I’m not so jealous of the instant winter you’re experiencing in Seoul though – that’s all yours! Hi Jan. I could arrange to send some of this winter your way!  Actually, it’s warmed up over the last few days. I’m excited to be heading off, and really need to get my head around everything that needs to be done before I leave. Once I get my semester finished it will be clear sailing! Would love to visit all of these – I’ve only been to Pike Place. I love strolling the markets to get a feel for a city! Hi Jill. The markets are often the first thing I source out when I’m in a new city. Somehow markets, especially those in Europe, always seem so colorful and interesting. I could get lost and lose a few dollars at any one of these. Hi Marcia. I’m with you. My wallet is always a little lighter after wandering through a local market. Great choices! I love visiting markets whenever I travel. When I visited Cuenca, Ecuador, there was a market for a local festival that had tons of sweets and treats. It was wonderful! Hi Brooke. Sweets and treats sound perfect! I love markets, and surprisingly have visited all the ones you mention! All wonderful! Hi Jackie! It took me a minute to get what you were talking about re. the Pike Place Market. I was just a little tired when I was writing this post. (laughing here). I almost always buy my fruit and veggies from the local market. Generally, they are fresher and cheaper than the grocery store. Markets are one of my favorite things! I loved the ones in Spain and Thailand. Cannot wait to visit other European cities and pay a visit to its wonderful markets. As a matter of fact, tons of markets and craft fairs are scheduled for the upcoming weekends here in Los Angeles. I am having problems deciding where to go. Hi Ruth. I’m looking forward to the markets in Barcelona and Portugal. I think I will miss the main Christmas market in Barcelona. From what I’ve read it ends on December 23rd. However, there seems to be another one that goes into January. We don’t have many Christmas markets here in Korea. There are a couple put on my expat organizations, but I haven’t been able to make those this year. Love this tour around the world of markets. They are so unique and offer such diversity in wares and fresh food. The bell pepper hanging things are divine. They would look so great in your Kitchen. Hi Kathy. Yes, I love those bell peppers. In fact, the friend that I was with that day, purchased one for a wedding gift. I thought it was a perfect gift for newly weds! I also enjoy visiting markets when I travel, especially if it’s someplace with food very different than what I’m accustomed to. I do miss the SE Asian wet markets but also admit that I enjoy the convenience of a one-stop megashop sometimes, too. One of my favorite travel memories is of my young son at Pikes Place who was heckling the fishmongers so much that they practically had a fish give him a kiss on the cheek to put him back in his place. I’d love to go back and get one of those Pepperman. Hi Michele. If I ever get back, I will definitely be leaving with one. They were so lovely. Sounds like your son had a lot of fun with the fishmongers. Oh, I love visiting markets too! My favorite so far is the Grand market in Budapest, I could’ve stayed there all day! I’ve joined the link-up, thank you for hosting! Love discovering new blogs. Hi Esther. Welcome! The Grand Market is definitely special! Hi Nancie! I would love to visit Madrid again and the Mercado de San Miguel. I feel like some wine and tapas just thinking about it! 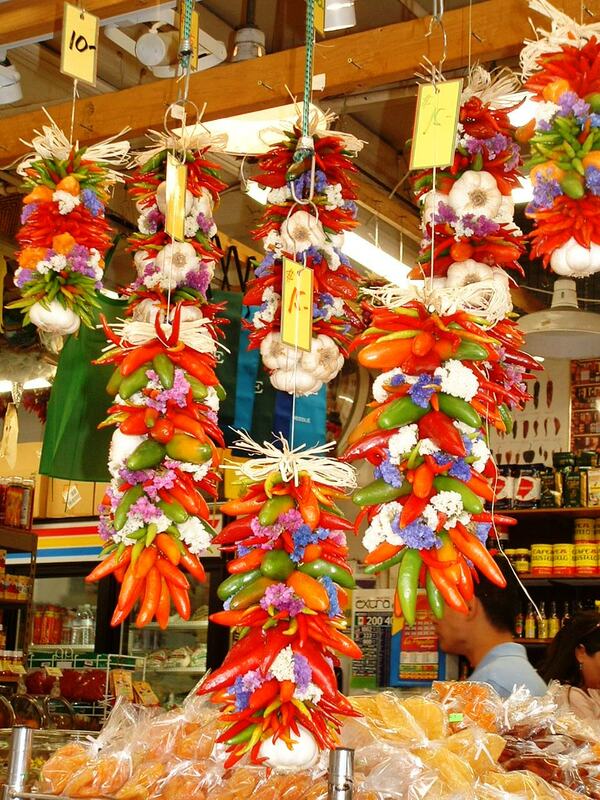 I really love those hanging peppers from Seattle—I’ve never seen them like that before. Great photos! You are in for a treat at La Mercado de Boqueria in Barcelona as well as the farmer’s market every Saturday here in Lagos, PT! I think my favorite thing about the markets is seeing the colors of the fruits and vegetables displayed with such flare as well as the baked goods and other treats. 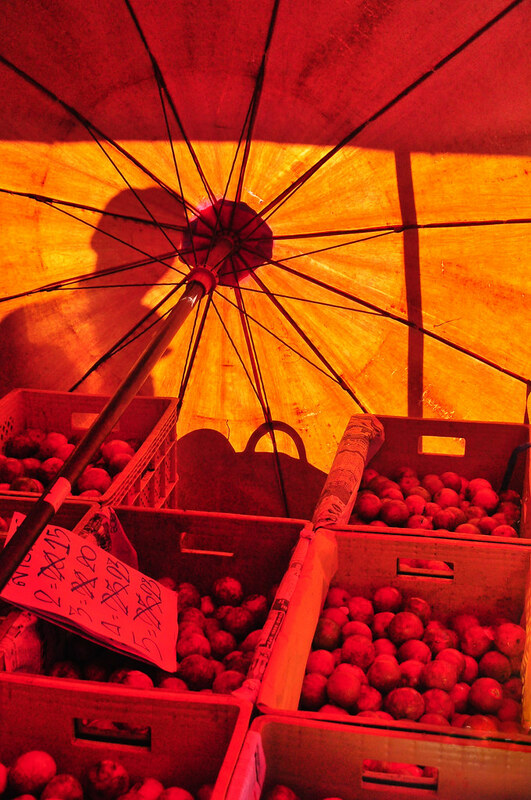 Love your photo of the Chiang Mai market – a still life of fruits and vegetables! I’m really looking forward to La Mercado de Boqueria. I have also read about several in Barcelona that are not so well known. I may source at least one of those out if time permits. Will definitely visit Lagos on a Saturday morning for the market! Local markets are great wherever you are, it’s a great way to discover new foods, talk to the people who produce them and learn how to cook items that are new to you. Finding out about the local markets is always our first mission when we arrive at a new destination. Hi Nathalie. I’m with you there. I always have the market locations sourced before I arrive!